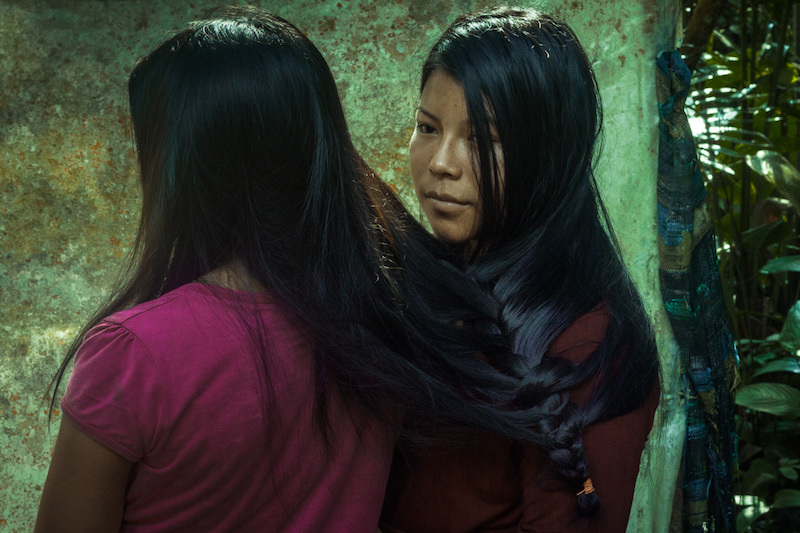 Amazona Warmikuna is a photographic project that portrays in a subjective manner the life of the indigenous women in the Ecuadorian Amazon rainforest. This series is inspired by the myth of the Amazonas by whom the region receives its name. According to history, the Amazon Rainforest is one of the few places on Earth that was called after a female character, casually fictional. In the first community I visited, I was struck by the temperament of the women living there; they never stop defending life and their territory. Thanks to their organization, they have managed to unite the community in the fight against mining, a serious threat nowadays. This project is a tribute to their strength, to their mystical vision of the world. It is a tribute to the women building history. Throughout my career I have been interested in the role women play anonymously in the world. I think that in addition to denouncing the inequalities, it is essential to spread stories of resilience, strength and empowerment, like Amazona Warmikuna, which invites the observer to a mystic journey. This path is just the beginning. My strategy will be to follow the indigenous women’s worldview, which professes that everything in the jungle is alive, that every plant, animal, object has its spirit, its magic and must be protected in order to achieve a harmonious life.